Synopsis, Our Opinion: A substantial white wine that’s both versatile and delicious. 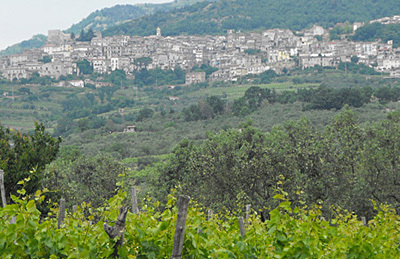 Producer/Winery: Cantina Morone; Guardia Sanframondi, Italy. 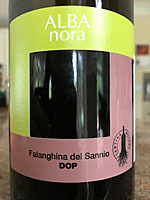 Geographic Appellation, Region, Country: Falanghina del Sannio; Campania, Italy. Paired With: Greek chicken, basmati rice and Greek salad with feta cheese. Chilled before drinking. Clear, dark pumpkin color. Robust ripe apples, honeysuckle in full bloom and lemon aromas. Smooth, tart, medium body and a 200-grit texture. 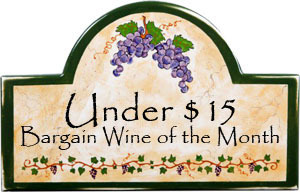 Apple, mineral and nectarine flavors with hints of raisins and tropical fruit. Crisp acidity, but with a almost doughy creaminess and a tart, very dry finish that had a distinct brussels sprouts nuttiness in the aftertaste. It paired well with the Greek chicken; but we make a simple dish of baked scallops in butter, lemon juice, bread crumbs and a little Parmesan cheese that I think would be ABSOLUTELY FANTASTIC with this wine!!! It was a substantial white wine that’s both versatile and delicious. In other words we loved it!!! 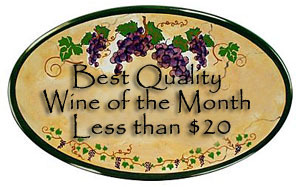 Comments: Learn more about Cantina Morone and their wines.